How would you like to win up to 13,000 naira worth of Recharge card each at the End of The week??? 1st stop … Capture IT. 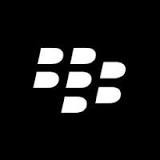 Take a cool picture of yourself in front of any BlackBerry® logo You can find… On the Streets, in a Shop, Billboards, Roadside Advert..anywhere they see a BlackBerry® sign or Logo. 2) Send the picture with Title “Capture IT” to bbacalabar@gmail.com along with your Phone number,BB pin, Twitter handle, Network used. The first 20 creative pictures get 3,000 Naira worth of Recharge card on saturday 9th November. Entries for “Capture IT” Closes on Friday. 5 lucky writers will get 10,000 naira worth of Recharge card each.